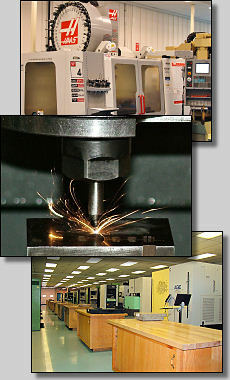 Composidie Inc. has multiple precision machining and grinding capabilities spread across our various divisions. Our Journeymen toolmakers and grinders average 20 years of experience. We are staffed and equipped to handle large die programs, spare part orders, specific production machining opportunities and miscellaneous tooling. Click here to watch a short video on our grinding & machining capabilities. 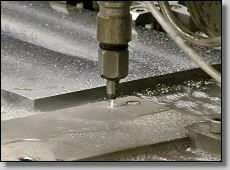 Our water jet cuts down lead time, cutting materials up to four inches thick with an accuracy of +/- .003" or better. A CNC milling job that might otherwise take hours takes the water jet only minutes. Composidie ensures precision accuracy up to +/- 0.00001" (0.00025 mm).